Vegan baking can, at first, seem slightly daunting. After all, baking relies on eggs, flour and butter. 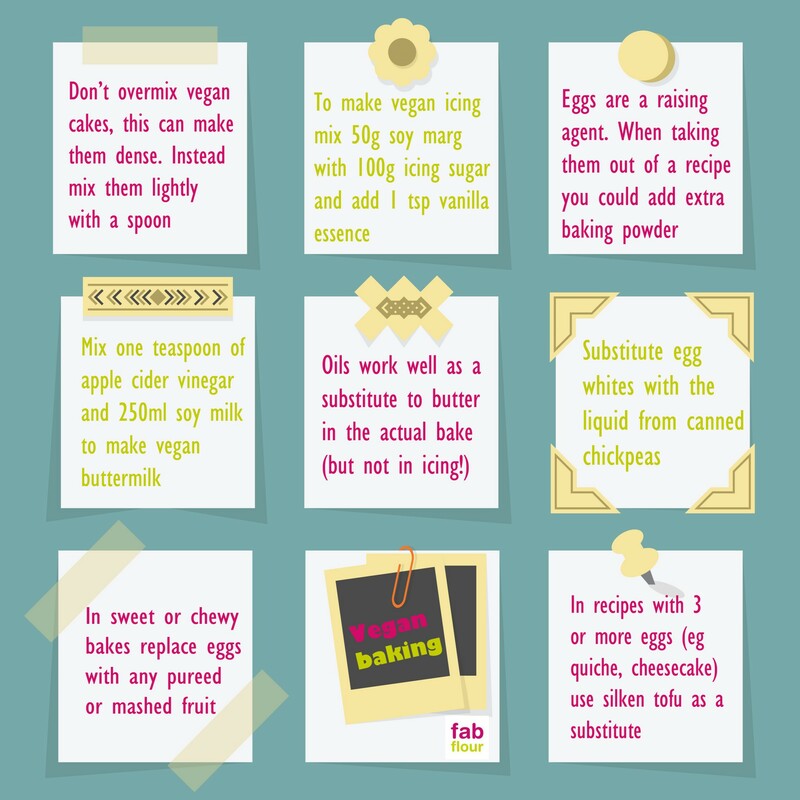 But with some scientific know-how and some experimentation your vegan bakes can be just as successful as your regular bakes. Let’s look at eggs. They have two functions in baking: helping the rise and binding the ingredients together. So when we remove the eggs we need to find an alterative mixture to bind, and perhaps add some extra raising agent (baking powder for example). Where eggs were a minor ingredient in your final dish – say in biscuits or cake – you could use mashed fruit (banana, berries, avocado or stewed apples or pears or a medley of fruits) as an alternative. Use 45g for each egg. Where eggs were the main component – such as a quiche or cheesecake – you can use whipped silken tofu. This will take on flavour and set nicely. Use 55g for each egg replaced.